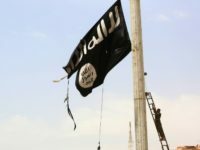 United Nations investigators this week revealed that Islamic State (ISIS/ISIL) jihadis put between 6,000 and 12,000 bodies – including women, children, and invalids – in 202 mass graves discovered across Iraq alone, mainly in the country’s Nineveh and Kirkuk provinces, home to high concentrations of Christians and other minorities. 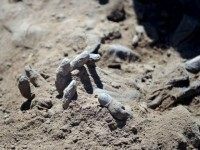 BAGHDAD – More than 200 mass graves containing up to 12,000 victims have been found so far in Iraq that could hold vital evidence of war crimes by the Islamic State group, the UN said Tuesday. 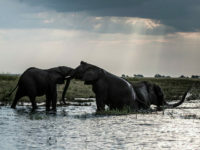 More than 80 dead elephants with their tusks removed were discovered “in a famous wilderness area” in Botswana over the past several months. 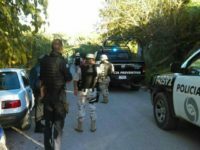 Murió El Responsable de Cocinar Cuerpos En Matamoros? MATAMOROS, Tamaulipas — Mientras que el la vecina ciudad de Reynosa los enfrentamientos continúan a la orden del día, esta ciudad recientemente ha podido evitar mucha de la violencia. Sin embargo, durante un enfrentamiento reciente aparentemente murió uno de los líderes del crimen organizado presuntamente responsable de haber cocinado a cientos de personas en las afueras de la ciudad. MATAMOROS, Tamaulipas — While authorities and cartel gunmen have been fighting for days Reynosa, this border city has managed to avoid most of the recent violence. However during a recent gun battle, one of the most feared cartel leaders allegedly responsible for having incinerated hundreds of victims was killed. 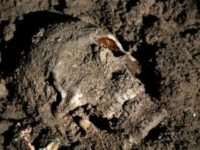 MONTERREY, Nuevo León — Mexican authorities continue working to identify bodies that were discovered inside a mass grave used by the Los Zetas Cartel. 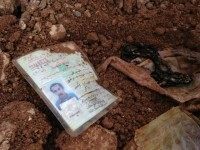 Russian Defense Ministry spokesman Major General Igor Konashenkov claimed on Monday that “mass graves of several dozens of Syrians who suffered atrocious torture and massacre” have been found near Aleppo. 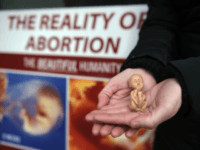 Authorities in this border state continue working to identify human remains discovered in a shallow grave near the Texas border. 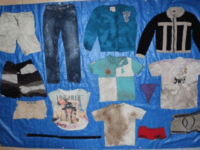 The discovery was made by three ranchers near the rural community of Tio Pio. According to information provided by Coahuila state authorities, the community’s leader Herminio Gonzalez along with two other ranchers had been walking around the rural area rounding up a herd of cattle when they came across a bushy area where they saw a red blanket that had been used to wrap the body. 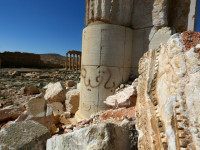 Syrian and Russian forces discovered a mass grave of victims of the Islamic State, including women and children, following the liberation of the ancient city of Palmyra.